This Diamond Core Drill is laser welded, is mainly used for stone, like granite ,marble and masonry, we offer a full line of bits, with fast drilling and standard hole. The laser welded Core Drill is high efficiency , long life and no breaking of segment, high quality with deep hole drilling accuracy, fast drilling, safe and long lasting, Suitable for various type of drilling quipments. It is can drill smoothly under dry condition. We have many other kinds of Diamond core drill for your reference Wet Core Drill and Turbo core drill. Looking for ideal Drilling Stone Diamond Dry Core Drill Manufacturer & supplier ? We have a wide selection at great prices to help you get creative. 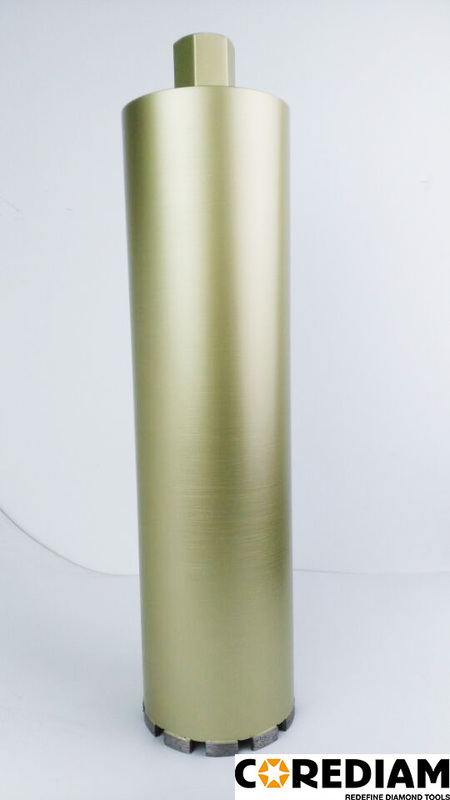 All the Diamond Granite Dry Core Drill are quality guaranteed. We are China Origin Factory of Diamond Stone Dry Core Drill Bits. If you have any question, please feel free to contact us.